freight train. Anthony Toth has recreated the front cabin of a Pan Am 747 in his garage, and I had the chance to go visit. Walking up to his house in the South Bay area of Los Angeles County, you wouldn’t know that anything was different about this place. But once you walk in, and head to the garage, it’s a different world. Anthony, who is the Director of Global Accounts at United these days, has painstakingly reassembled the nose section of a Pan Am 747 over the past 20 years, and he’s not done yet. Take a look at some of these pictures. He built a frame in the garage and then bolted the panels on to the frame. (These are actually DC-10 panels, something he hopes to upgrade when he finds better ones.) Due to space constraints, he has cut out one row at the back of the cabin, and the nose is somewhat wider than in reality, but everything else is incredibly accurate. Anthony has found real first class seats, and he has all the galley items you could want. I was treated to a 7-UP in a Pan Am glass with a Pan Am napkin. He even has peanuts in Pan Am packaging that he created himself. He has inflight magazines, safety cards, and even old elegant menus from the bygone era. He put a flat screen TV at the front so he can relax and watch videos in there. He even wired the seats to work with headsets (Pan Am originals, of course). … I want like 14 of them…one for every seat! Swatch of the clipper class fabric (you can also see this at right). Upper deck screen with the ship etched in gold on it. Trays. The fullsize ones used for Clipper and First meals. If you can help, or if you’d like to donate to the cause, please email Anthony directly at ajtoth@earthlink.net. If you’re lucky, he might even take you on a tour. Reminds me of years (and years and years) ago around here there was a house that in the side yard had for what ever reason, a jetway with the PanAm logo on it. Is there a Mrs Toth and what does she think about all this? Sounds like this guy has been doing a lot of online shopping, hello ebay….lol. From the pics it looks like he’s done a good job. I am glad there are people like this around – they definitely make like more interesting. It’s also fun to see how much the conception of “first class” has changed. You get a similar feeling touring a Concorde or the older planes that served as Air Force One. I would recommend finding a recording of take-off and landing communications (to ATC and to passengers) piped in to complete the effect from a Pan Am 747 in that era. Plus a selection of music and movies that were actually used at that time. Wow!….I’m just an innocent timetable collector. That is just plain wow right there. He’s done an execellent job with this and wish him all the best.best. Great question – he goes to aircraft scrap yards and gets interior parts from a few different providers. There are some parts guys who specialize in supplying the movie industry, so those can sometimes be good sources. He works at United. He was able to salvage many used parts from planes getting scrapped. Pneumatic headsets? I danced for joy when those went away.. Although I remembered the edition that actually went into your ears… ugh and ouch. That’s incredible. It’s interesting that today’s first and even business class seats appear light years ahead in terms of comfort, never mind gadgetry and IFE. I went to this show in NYC this year. Amazing Stuff there. ALOT of airline memorabilia there, CHECK IT OUT. Perhaps a little harsh – but does Anthony Toth have a girlfriend ? @David I was just about to ask the same thing? Brett, if you talk to him again, ask him where he got the departure board. I’ve wanted one of those for years (preferably one with individual letters rather than destinations). Too bad I just missed the collectible show in San Francisco last weekend. I believe Anthony is single, but I’m not sure. @Trent800….yea, stunning. I hope this quiets the airline aficionados who bemoan the “golden days” past of F class. Two looks at that (amazing) recreation and I’d take a number of any non-US airline’s J class over Pan Am’s old F any day. So much of the flight is about quality sleep, and regardless of how wide those chairs are I don’t think they can hold a candle to competing with a flat bed. F class doesn’t even look like it’s a close fight compared to the seats today: check out EK, SQ (R and F), CX, etc. etc. Omg this would be such a treat. I wonder how much it would cost if I asked really nice? lol I think I would feel like such a geek inside there. I don’t know that it would have been *that* bad–the closest that I’ve come in recent memory is Asiana C/F on the 747s. I never had much trouble sleeping, but each time I pretty much passed out as soon as the plane took off. What strikes me more is the lack of convenience–the idea of taking two separate airlines to get to New York, then switching *there* to Pan Am just to get to London. 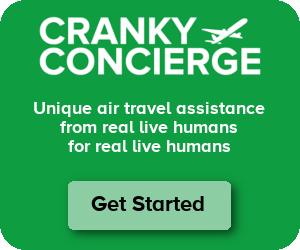 For all the hassles of modern travel (like the TSA) that have come about since those days, the convenience of most connections is a difference that’s hard to overrate. The most diplomatic statement I’ve read here in a long time! WOW – goes to show you how premium travel has changed since then. These days, any first/business class that doesn’t give you lie-flat beds and an AVOD entertainment system (even in coach) on an international flight gets roasted over the coals on any airline review website. Then again, I remember reading an article – it may even have been an old CF posting, though I can’t remember – about an airline employee describing first class service on AA circa mid-80s. Seems like back in those days, first class was about the experience, service, and exclusivity, and not so much about the bed or entertainment. It really is fascinating, isn’t it? People always think back and remember the great things of the old days of flying, but they forget about the bad stuff as well. In the past, it certainly was all about service. Service has deteriorated, but the seats have become far, far better. It’s always a tradeoff. Well done, a great idea on utilising a garage where the weather don’t bother much. Why not try visiting Foynes (Eire) museum? You can sit and walk in a full size reconstructed fuselage of a Boeing 314 Flying Boat, the “Yankee Clipper”, that regularly flew the “Pond” – now that IS going back to Pan Am of the 30’s/40’s.- It’s just across the river from Shannon Int’l Airport. A wonderful experience for us old ‘uns. The ultimate man cave for an airline-obsessed man. If I had the money and the time, I’d do the same thing! I have a Pan Am amenity/toiletry bag if he needs that, still full! Is there someone out there doing the same with a TWA or Eastern L1011? I knew him before he started working for the airlines, he was always strange. This doesn’t surprise me at all – when we were younger he believed I owned a high school football stadium. Brilliant! This reminds me of seeing an advert in Aviation Week & Space Technology just after Pan Am went out of business (was it 1991?). The advert was for a huge auction of Pan Am’s ground support equipment/paraphernalia etc. including aircraft steps, job lots of baggage containers (ULDs), tugs, even Ford F150 pickup trucks with the Pan Am logo on. I wonder if any of those trucks are still around…? This gives me inspiration to build a replica of an American Eagle Saab 340 cabin in my garage, which I shall christen “The Torture Chamber”….bwahahaha!!! This is awesome! But what I really find unbelieveable is the list of emails towards the bottom! Are all those Trippes as in THE Trippe? I just read that, pretty cool. I wonder what happened to the small prop planes Pan Am used to have and if any private hobbyists like him have one and/or a recreation of the interior of one. I’ve always wanted to fly in one but never got the chance. Which planes in particular? Are you talking about the ones from the very old days or the more recent little props that they ran until the end? My husband, who worked for McDonald-Douglas tried to find out if there was a Pan Am clipper left in the world. Most experts said there was not. Does anyone out there know of any other old Pan Am planes still flying? I know that United had several DC 10 from Pan Am that we sold to Fed Ex in 1990. Employees and their families. Among them was an Ernie Toth. Was he your relative? I have quite a few items including a few pieces of Pan Am china by Noritaki. Please let me know. Thanks a million. I worked at the Pan Am City Ticket Office doing reservations and ticketing for many PAA Employees and their families. Among them was an Ernie Toth. Was he your relative? I have quite a few items including a few pieces of Pan Am china by Noritaki. Please let me know. Thanks a million. I asked Anthony and he said that he had no relatives there, so they’re unrelated. He also appreciated the offer for china, but he has the right quantity for now. If you’d like to email him, the address is in this post.